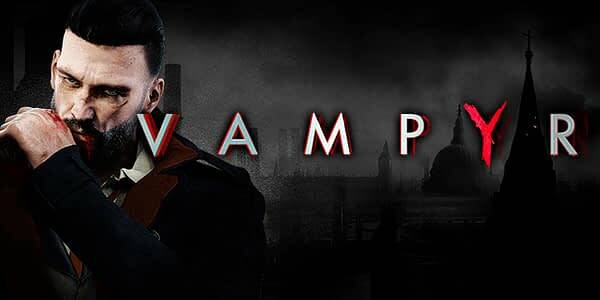 Vampyr, the upcoming narrative-driven RPG from DONTNOD Entertainment, will release on June 5th on PlayStation 4, Xbox One, and PC. Today, DONTNOD have released almost an hour of uncut gameplay footage along with commentary from last week’s developer stream. 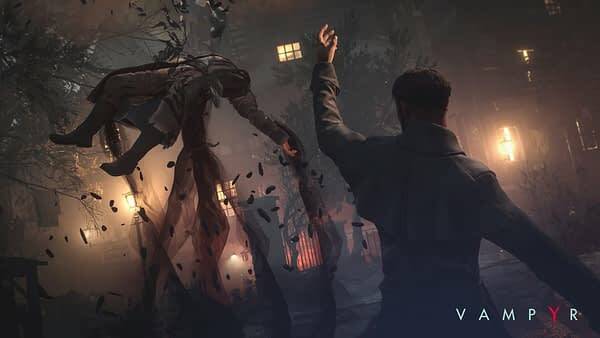 The gameplay is taken from around six hours into the game’s story and shows off several of the deep systems that make up Vampyr‘s citizen and district ecosystems. Players are free to kill or spare any and all of London’s citizens, using their blood to evolve some pretty impressive new powers. As the game’s protagonist, Jonathan Reid, is also a doctor, players can also choose to heal the citizens of London by conducting examinations and creating medicine. Curing illnesses improves the quality of life for each citizen as well as the district as a whole. And healthier citizens offers a larger boost in power. So you will need to carefully decide whether or not to save citizens or eat them throughout the course of the game. Additionally, balancing the overall health of citizens is vital for players who want to keep districts from being lost. Each of the four main districts have their own heath status gauge which is affected by the number of dead, sick, and healthy citizens in that area. As the gauge drops, shop prices increase, citizens are more likely to get sick, and life in the area deteriorates. If the status drops below critical condition, then the entire district will be lost forever. Which means all shops, citizen side quests, and regular inhabitants in that district are permanently gone, taken over by your enemies. However, even if you lose all four districts, you can still complete the game’s main story. However, you will be awarded with a different ending than someone who keeps some, or all, of the districts alive. You can watch all 55 minutes of the Developer stream on Twitch.